Medical coding has designated certifications for the very reasons that other professions have them: to ensure the holder of the certification possess the knowledge and standards that are essential to excellent performance. Attainment of the designation of Certified Professional Coder (CPC) ensures a coder has a solid understanding of anatomy, physiology, medical terminology, and can serve as notice to any provider that these individuals can perform coding with proficiency. These certifications allow coders to stand out and validate their expertise. Even more valuable to any practice is the coder with specialty certifications. 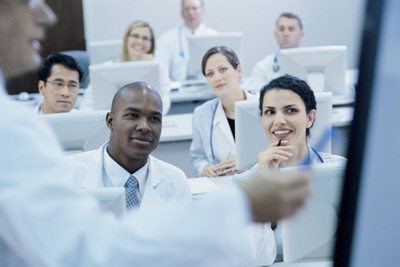 Coders can specialize in cardiology, dermatology, surgery or a variety of other specialties. The more knowledgeable a coder is, the more accurate the billing becomes, which typically results in larger reimbursements, especially for specialty coding. A cardiologist should require a Certified Cardiology Coder (CCC) to code their claims; a surgeon should require a Certified General Surgery Coder (CGSC) to process their claims; and a dermatologist should require a Certified Professional Coder in Dermatology (CPC-D), and so on. The transition to ICD-10 will occur soon, and with it we are poised to witness perhaps the most massive change in coding in 30 years. The sheer change in the volume of codes will be daunting. Currently ICD-9 has 13,000 diagnosis codes and 4,000 procedure codes totaling 17,000 codes, while ICD -10 has 68,105 diagnosis codes and 72,589 procedure codes totaling 140,694 codes. For this reason alone, four members of our management team have become Certified ICD-10 Trainers—a designation sure to help your practice make it a smooth transition. In fact, once you’ve experienced the ease and confidence of having your revenue managed by our certified staff, we believe you’ll find it vital to the success of your practice. Here at MBR all of our coders are CPC’s as well as certified specialty coders. We have coders certified in Cardiology, General Surgery and Dermatology, as well as a Cardiovascular and Thoracic Specialty coder. This is ultimately about reimbursements, and the best way to ensure you’re collecting all allowable monies is the use of someone who understands not only what you’re doing but how to code and bill the claim in its entirety by using certified coders.